Pokémon Go will be a game where people have to travel to real-world locations and interact with others to capture Pokémon. This raises the obvious question where the very rare ones will be. So for a simple Caterpie for example hanging around the nearby park might be enough. 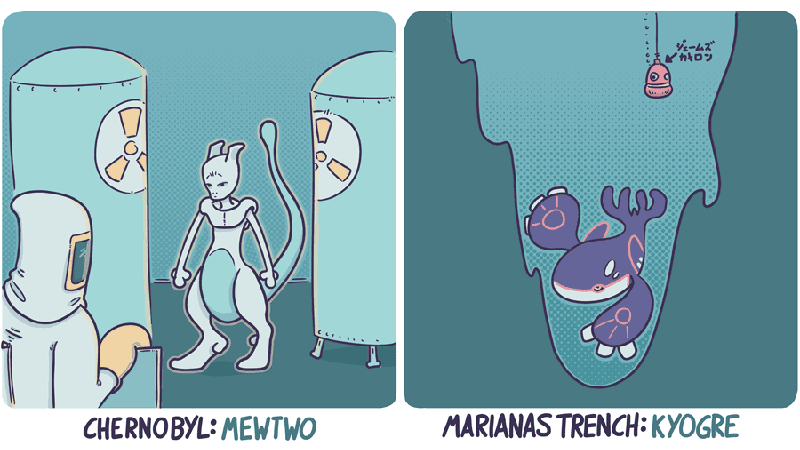 But what about Mewtwo? Or Dialga? The folks at TheVeryNearFuture imagined the worst case scenario.